On Day 34 of the Aadhaar final hearing i.e., Thursday, advocate Gopal Sankaranarayanan resumed his submissions before the Supreme Court five-judge bench on behalf of the Centre for Civil Society, an intervenor. He submitted that the Aadhaar Act as a whole does not violate the fundamental right to privacy. “Certain provisions of the Aadhaar Act have to be struck down or reconciled so that the Act as a whole can continue to serve its essential purpose”, He added. He submitted that S.139AA of Income Tax Act infringes the right to personal liberty of those who did not enroll for Aadhaar but are compelled to do so on account of the said provision. A bare reading of Section 3 of the Aadhaar Act makes it clear that the Aadhaar number is an ‘entitlement’ of every citizen of India, as totally opposed to the idea of an ‘obligation’. This is justifiably so, as enrolment in Aadhaar mandatorily requires one to part with one’s demographic and biometric information in favour of the UIDAI, and the choice to part with one’s information would fall within the scope of ‘personal liberty’ under Art.21. “I support Aadhaar generally because of the safeguards and pillars on which the Aadhaar Act stands. But Section 139AA of the Income Tax Act of 1961 (mandating Aadhaar-PAN card linkage) takes those away...,” he continued. Chief Justice Dipak Misra inquired from the counsel if there is no mass surveillance through Aadhaar. Agreeing, Sankaranarayanan commented, “The privacy concerns are valid. But the Act passes all the tests laid down”. He submitted that the Aadhaar Act intends the Aadhaar number to be a pure entitlement and not mandatory. “Section 4 of the Aadhaar Act clearly says Aadhaar can be used as proof of identity...the provision does not say that it shall only be for purposes of this Act...Section 57 is therefore not really required...,” he advanced. “Section 5 enjoins the UIDAI to take special measures for vulnerable groups. This shows that there is an element of discharge of obligation by the State...Section 7 is also a beneficial provision. Even if someone does not have Aadhaar, there is an obligation on the state to identify, because right to identity is a Fundamental Right under Article 21. This is why Section 7 is worded in the way it is. Recognition of identity of every person is an international obligation...,” he elaborated. Sankaranarayanan also cited a European judgment wherein a Dutch couple's right to change the surname was upheld despite it being disallowed in the Netherlands. Justice Chandrachud directed the counsel to address the petitioners' claim that designating Aadhaar as the only acceptable identification mechanism would have the effect of making it mandatory. “The answer is in Article 266 (3) of the Constitution...it has to be in accordance with the law... the government will have to discharge that onerous obligation to secure public funds and that is why Section 7 is reasonable...,” replied Sankaranarayanan. “But the government’s argument that Section 7 is in furtherance of the Fundamental Rights is a flawed one on many counts...Once you are already identifying beneficiaries under laws, there is no question of Fundamental Rights...It is only a directive principle...,” he continued. Justice Chandrachud mentioned the right to nutrition. “It is only a negative right in the sense, you can file a petition under Article 32, praying that the government shall not interfere with your right to nutrition, but you cannot ask to be fed,” remarked Sankaranarayanan. “There is also a positive aspect in the sense that it confers reasonableness on a State action in furtherance of such a right. It creates a judicial restraint to that extent,” observed Justice Chandrachud. Thereupon, Sankaranarayanan discussed the concern on Aadhaar becoming the universal means of identification and other Proof of Identity (PoI) documents becoming irrelevant.“Allowing 18 PoIs for all residents makes doubtful the claim of the government of an absolutely foolproof Identification regime. This needs to be borne in mind while deciding the proportionality. Aadhaar is also only as secure as any of the other 18 POIs,” he submitted. “Aadhaar Act has that balance because of the limited purpose in Section 7. But 139AA of the IT Act lacks the balance,” he continued, pressing on how mandating Aadhaar for purposes other than the welfare schemes under Section 7 is manifestly arbitrary. “This limitation of purpose is important right at the threshold at the time of enrolment. The enrolments effected prior to the enforcement of the Act may be on problematic ground, but this Court ought to take a pragmatic view of it, given the fact that public money has been spent...,” he advanced. Sankaranarayanan on Thursday produced before the bench the authentication history of Dr. Ajay Bhushan Pandey, CEO, UIDAI, to show that he has locked his biometrics, suggesting that he does not trust the biometrics. Senior counsel Rakesh Dwivedi, representing the UIDAI, clarified that he had only been testing. “The government has to flush out the gaping holes in terms of security, exclusion and authentication failures before rushing everybody in,” he remarked. “The Safeguards under the Aadhaar Act are in addition to Section 43A and the Reasonable Security Practices Rules under the Information Technology Act...If the Rules under Information Technology Act apply, then informed consent is required when Aadhaar is used for purposes outside the Aadhaar Act...so is the choice to opt-out...,” submitted Sankaranarayanan. Next, he challenged Section 8(4) of the Aadhaar Act in so far as it uses the phrase "any other appropriate response sharing identity information"- “this is a privacy violation that has no counterbalancing state interest. Even one’s address may be a private matter”. Finally, he advanced that Section 29(2) of the Aadhaar Act violates the mandate of Section 4(b)(xii) of the RTI Act in so far as it states that identity information may be shared only in accordance with the Aadhaar Act and the Regulations framed thereunder. 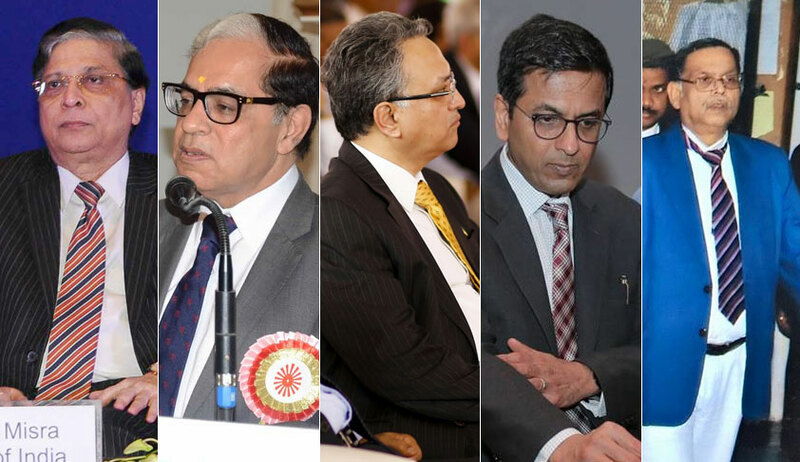 Thereafter, senior counsel Neeraj Kishan Kaul commenced arguments for the Digital Lenders Associations and other businesses claiming to have been built around the Aadhaar scheme. “The free flow of information is necessary”, he advanced, quoting as an example how banking correspondents have empowered the poor, women and migrant labourers. He also cited the instance of Yolo bikes where insurance premiums are lower on Aadhaar verification of hirers. When Justice Chandrachud inquired about Section 57 of the Aadhaar Act and the compelling state or public interest, Kaul advanced that he wished the requirement of Aadhaar under Section 57 to be voluntary by consensus. “Who is stopping you now,” posed Justice Ashok Bhushan. “We want to make sure we have heard before Your Lordships make observations on Section 57...All we want to say is that if there is a powerful tool of identification, the private sector must be allowed to use it...the information that is sought under e-KYC is collectible even without Aadhaar. The problem is unauthorised sharing, which is a concern even outside the scope of Aadhaar...there is no reason to strike down Section 57...,” explained Kaul.